The upper floor of a log town home. A smaller room that has a queen bed and a single daybed. Private entrance. Enjoy the view from the balcony up the Methow Valley. Near the Methow River! Upper Floor of one of our log townhomes. A spacious room with a place to relax. Private entrance A balcony overlooks the Wolfridge Property with views up the Methow Valley. The studio units have a private outside entrance. The one bedroom apartment is the main floor of one of our log townhome. Lots of privacy! 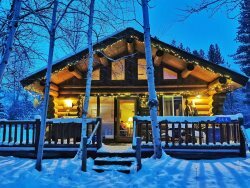 This beautifully constructed cabin is situated in the open meadow with unobstructed views of the surrounding area. This 5 bedroom home is on the property adjacent to Wolfridge Resort. Ski in/ski out on the Methow Trails cross country ski trails. 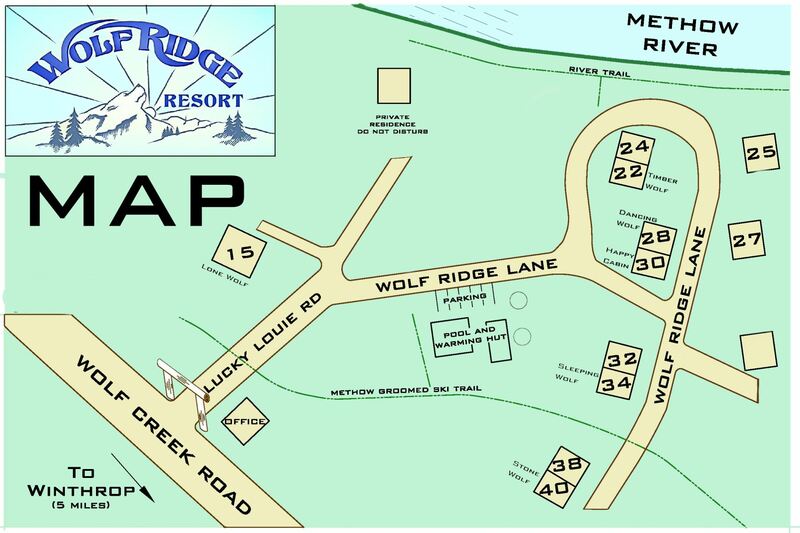 Access to the Wolfridge Resort hot tub and seasonal pool is included.